Welcome to my website . I am a versatile storyteller with extensive experience as a photographer, journalist and film maker. I have had numerous solo photo exhibitions and supply images to both decoration and documentary. Do you need an experienced and skilled media artist? Please contact us and we'll take a nice chat about the possibilities. PHOTOGRAPHER : I seek beauty in the ordinary and the significant in the insignificant . For me photography i about patience and to capture what we see, but still do not see in our speedy journey towards the future. 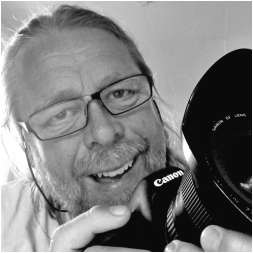 I have received several awards from Morten Krogsvold for my pictures. Videographer: For me video to tell simple stories with vivid images that excite and speaks as much to the heart as to the intellect. Se a broad variety of videos on my digital showroom on Vimeo.